When you open a new Neighbors Federal Credit Union Business Visa Platinum Card, you will gain a $500 Cash Back Bonus once you spend $4,500 in purchases within 90 days of opening the card. 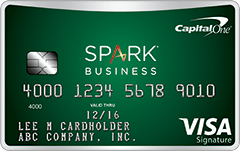 This card is best suited for business owners who want a simple, no nonsense card because it has no annual fee and few features and little requirements. Eligibility: This card is available in the following Louisiana Parishes: East Baton Rouge, Ascension, East Feliciana, Iberville, Livingston, Pointe Coupee, St. Helena, West Baton Rouge, West Feliciana. Neighbors Federal Credit Union Business Visa Platinum Card: If you are interested in this offer, open a card today! Earn $500 for spending $4,500 within 90 days of opening the Neighbors Federal Credit Union Business Visa Platinum Card. The Neighbors Federal Credit Union Business Visa Platinum Card is an easy card to maintain and has little frills with no annual fee. 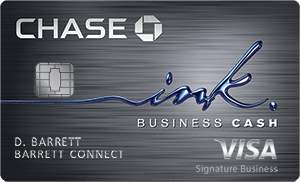 If you are a business owner looking for a simple card with easy benefits, consider this one. You must reside in the qualifying parishes and be a member of Neighbors Federal Credit Union to open this card. Provide feedback in the comment section below by telling us your thoughts and experience with this card. Make sure to visit BankDealGuy to explore our list of credit card bonuses.